Alcatel 5V comes with an array of features. 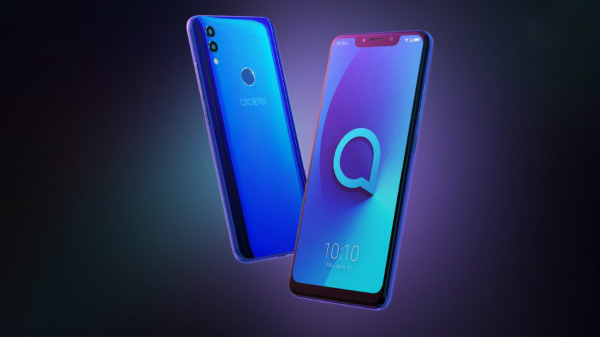 Alcatel, the TCL-owned smartphone brand has come up with a new offering after the Android Go smartphone. The Alcatel 5V has been launched in select markets. This smartphone comes with a slew of highlights that are in trend these days. Some of these aspects include a display notch, Face Unlock, AI-powered dual cameras, and more. The Alcatel 5V is priced at $199 (approx. Rs. 13,000). This smartphone will be released later this month in select markets but the exact availability details remain unknown for now. There are expectations that the US market will get this latest Alcatel offering. The device flaunts a metal body and a display notch. There are thin bezels at the sides but the chin is noticeable. The rear of this smartphone has two cameras positioned vertically along with a flash below the module. The device has been launched in two colors - Blue and Black. The Alcatel 5V bestows a 6.2-inch display with a notch at its top taking its aspect ratio of 19:9. The screen has an HD+ resolution of 720 x 1500 pixels and a screen-to-body ratio of 88%. The display has a 2.5D Asahi Dragontrail glass protection on top. Under its hood, this smartphone employs an octa-core MediaTek Helio P22 processor coupled with 3GB RAM and 32GB storage space. The internal storage capacity can be expanded up to 128GB with the help of a microSD card. For imaging, this smartphone makes use of a dual-camera setup at its rear. This camera module comprises a 12MP primary camera with f/2.2 aperture and a 2MP secondary camera with f/2.4 aperture. The two lenses are accompanied by dual-tone flash, AI scene detection, EIS. HDR, real-time bokeh effect, burst shot, fixed focus, panorama, real-time filters, selfie album, social mode for instant sharing, time-lapse, night mode, slow motion and more. The selfie camera is an 8MP sensor with f/2.8 aperture and face beautification. Connectivity features on board include Wi-Fi, Bluetooth 4.0, GPS, NFC, FM Radio and a 3.5mm headphone jack. A 4000mAh battery powers the Alcatel 5V from within rendering 18 hours of talk time and 620 hours of standby time. This smartphone runs Android 8.1 Oreo out of the box. As of now, there is no word regarding the Indian release of this Alcatel smartphone. 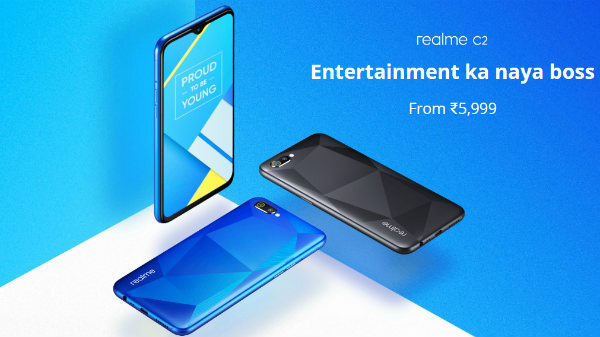 However, from its pricing, we get to know that it might rival devices such as the Xiaomi Redmi Note 5 Pro, Oppo Realme 1, Honor 7X and other bestselling smartphones in the market. We are yet to see if this smartphone will be launched in the country to rival these devices. Though it has similar specifications, the device lacks out on dual-SIM support, which adds a great level of convenience to the users.